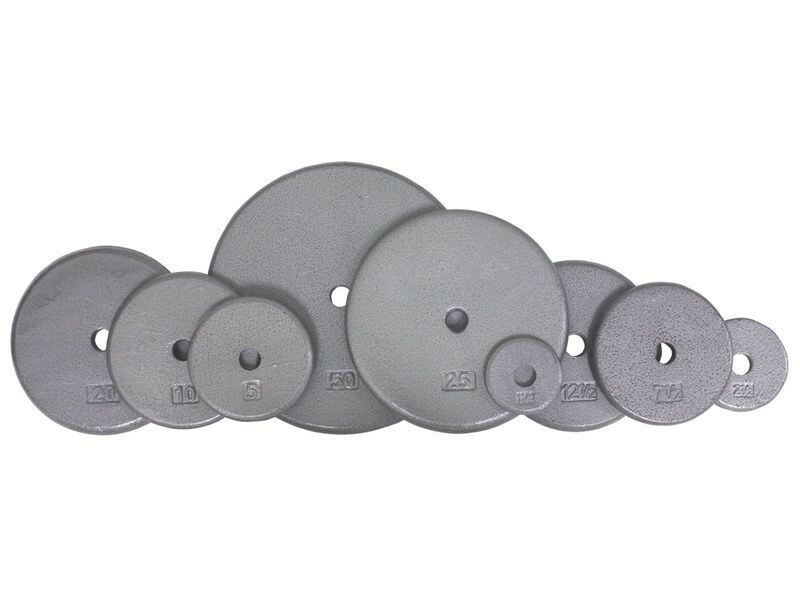 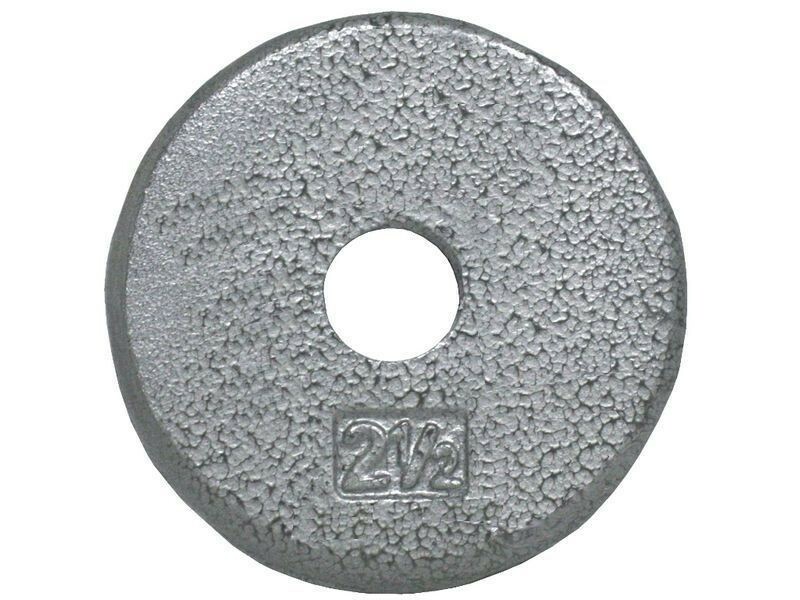 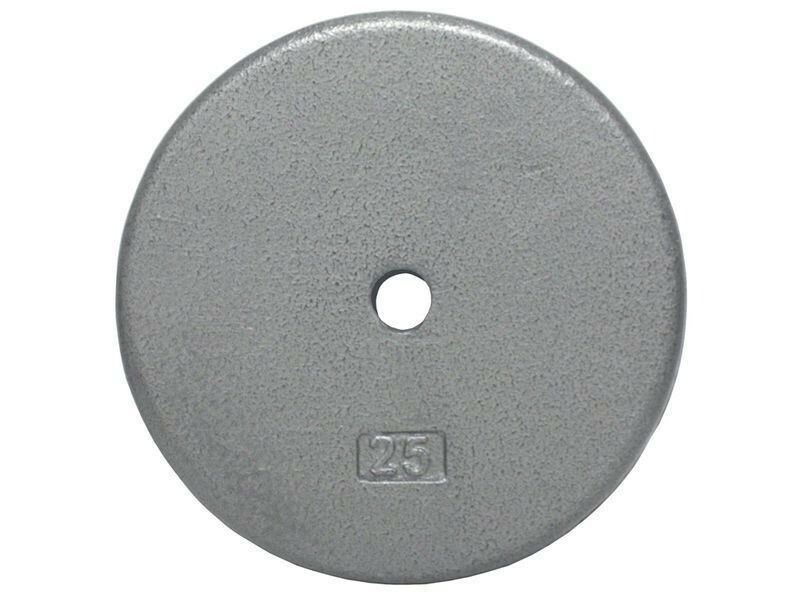 These "pancake style" weight plates are constructed of cast iron, and after casting they are machined completely around the outside edge, leaving a smooth, rounded edge that's safe for the user and floor. 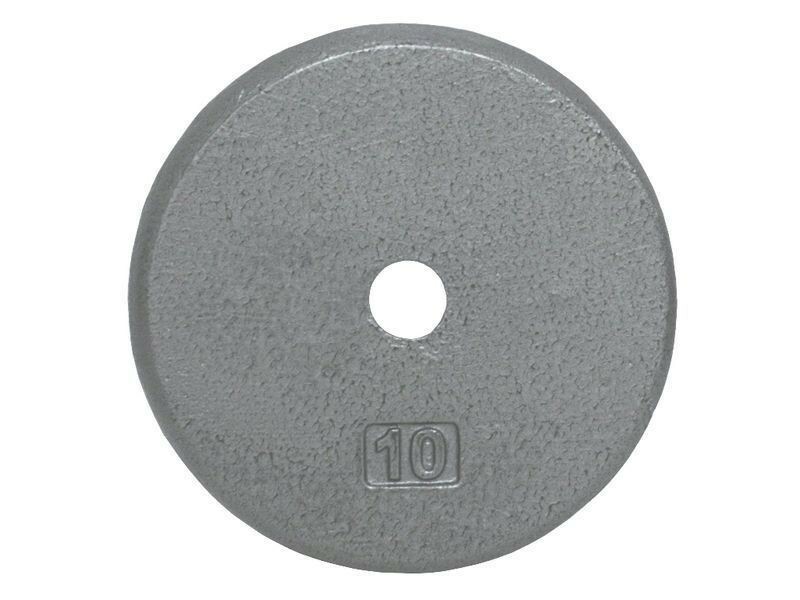 They will fit on any bar or dumbbells handle that is 1" diameter. 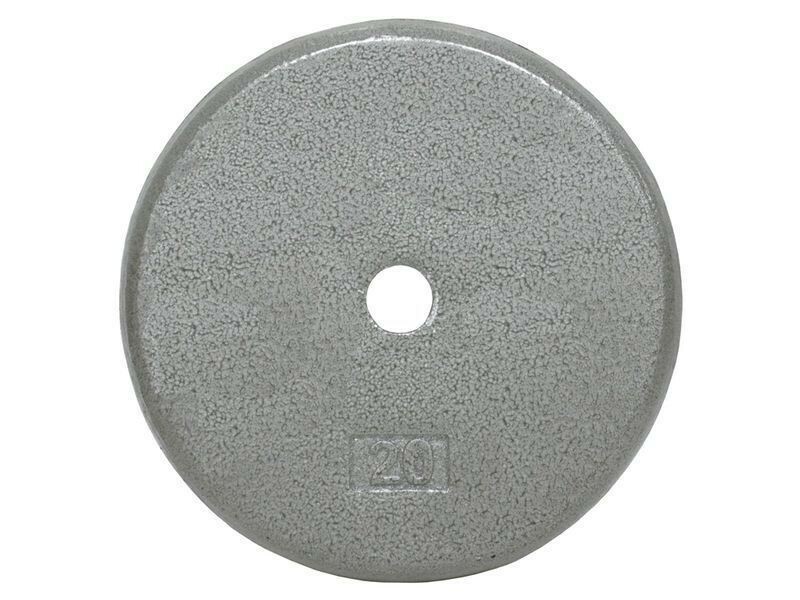 The weight plates are coated with a durable resin based paint and baked for one hour to assure a finish that is chip, abrasion and corrosion resistant. 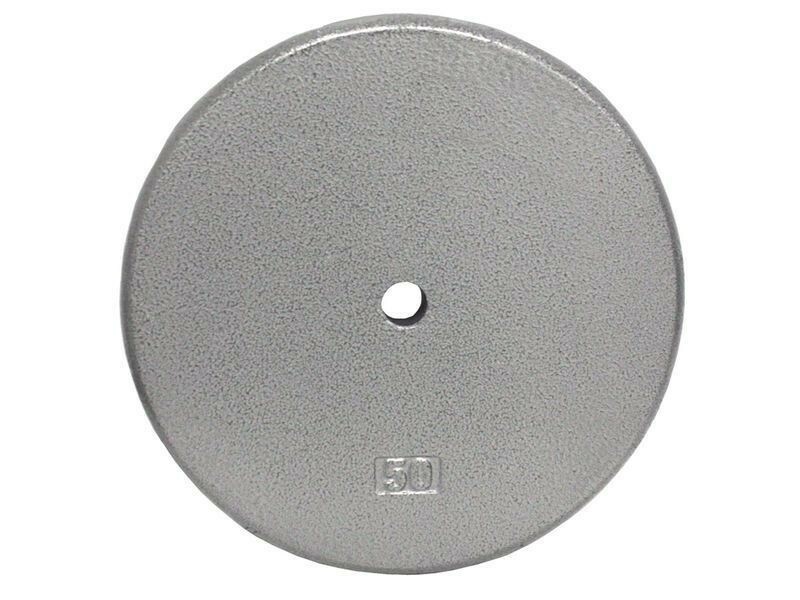 This finish is more scratch resistant than the black plates of the same style that we have. 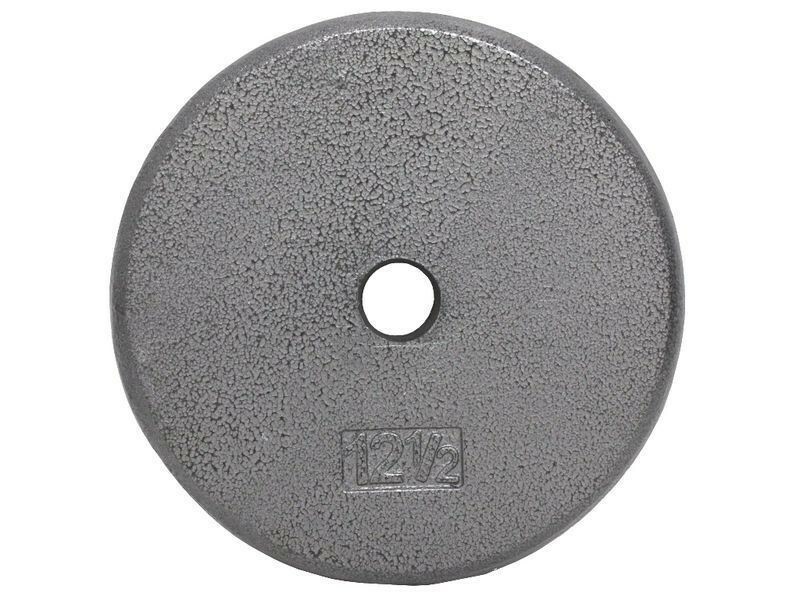 Are you looking for olympic plates with the "STANDARD" lettering on the face? 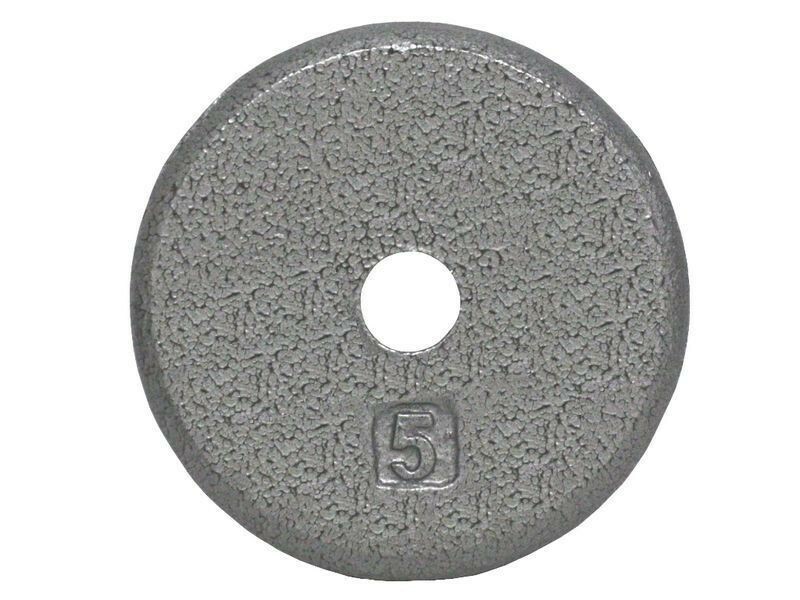 See the economy olympic plates. 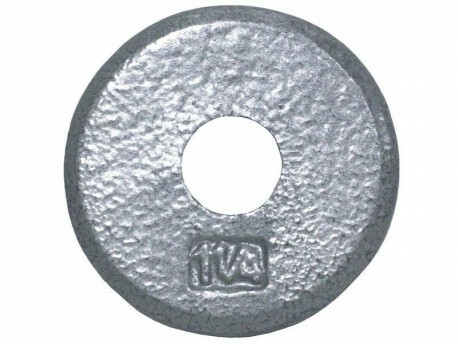 Dimensions below. 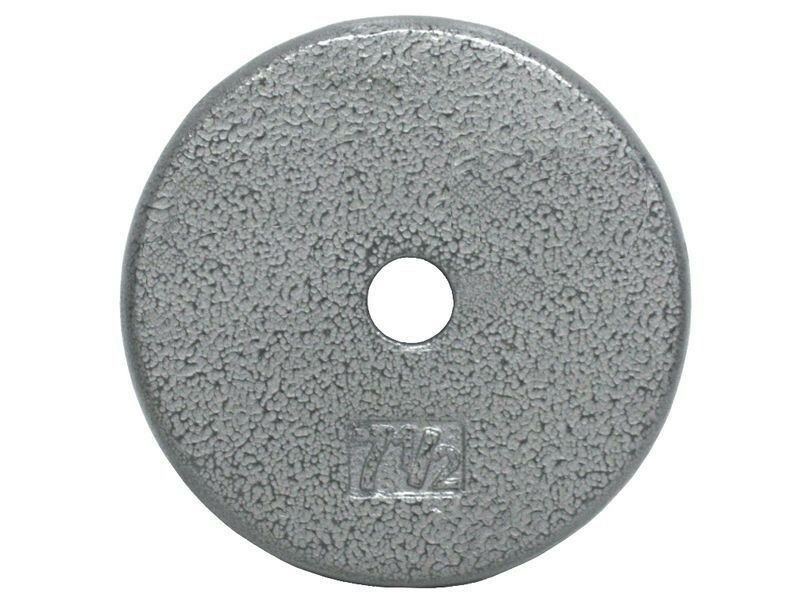 All sizes have about a 1 1/8" center hole.